The easy to clean, cut, and cook squash that will soon become a winter favorite. Delicata squash is easy to clean, cut, and cook, and is so damn delicious…which may make it a new winter favorite. The better known butternut squash may be more popular, but delicata is easier to prepare, which means less time in the kitchen. It tastes good, is good for you, and is easy to cook…what’s not to love?! Supports Clear Skin: One cup delivers 90% DV Vitamin A, which is needed for clear, blemish-free skin. Supports Eye Health: Vitamin A also supports your vision. A Vitamin A deficiency could lead to night blindness. Supports a Healthy Immune System: One cup delivers 20% DV of Vitamin C, which supports immune system health. 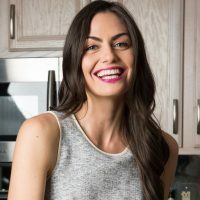 Powerful Antioxidants: Vitamins A and C are powerful antioxidants, which protect your body from free radical damage, help prevent a range of illness and disease, and support vibrant health. 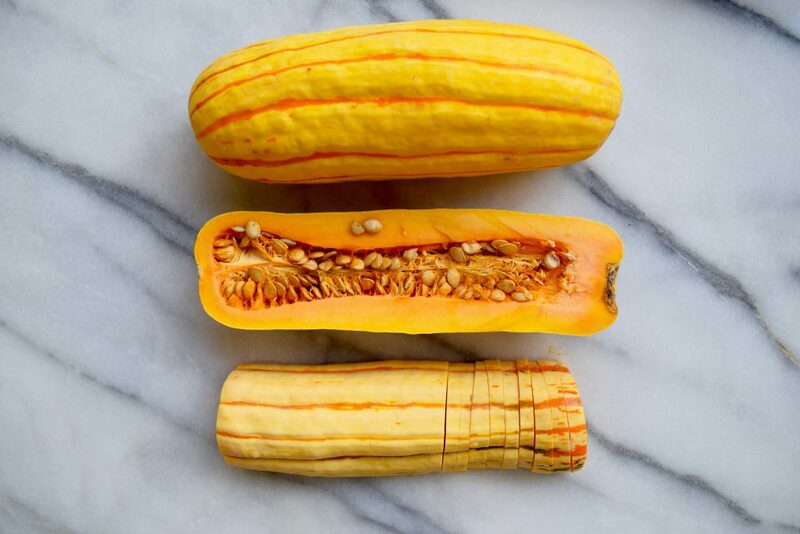 Look for squash that feel heavy for their size, with even, cream colored skin with green or orange striations. They can be stored in a cool dry place for up to three months. No need to peel, the skin is edible. Delicata squash tastes so good simply roasted with salt, pepper, and olive oil, there isn’t much need to do anything else! 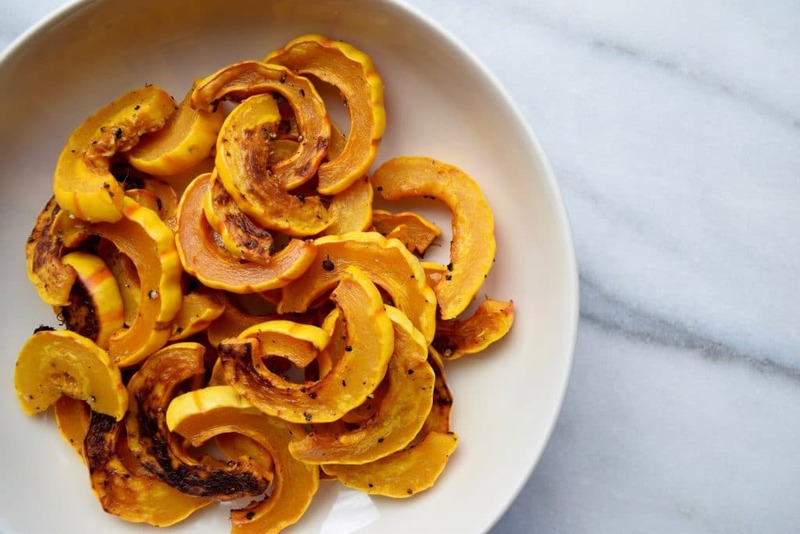 Fast roasted delicata squash recipe. No need to peel the skin, it is edible.